‘Disco King’, Bappi Lahiri, who introduced Hindi film industry with the foot-tapping rock and jazz music, with the upcoming film THE DIRTY PICTURE. The sensuous, raunchy number ‘Ooh LA LA…’ from THE DIRTY PICTURE which Bappi da has sung, has the touch of 80′s. The song has already created huge waves and Bappi is quite happy with it. 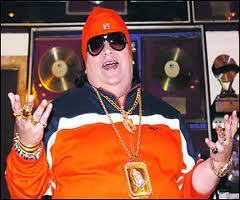 BAPPI LAHIRI Says Bappi, “Ooh La La...is an awesome song. After a long time I enjoyed singing. The wordings, picturisation and choreography of the song are just mind-blowing. Vidya Balan, who features in the song, has stumped one and all including the notable music composer Bappi Lahiri. “Vidya Balan...I have become fan of her. She has danced very well in the song. She is a very talented actress,” says the Bengali musician, who is smitten by Vidya’s sensuous dancing style and is going ga-ga over her. Not just in India even at the international level this song has got unbelievable response.